Miamians pride themselves on having an outfit for every occasion, but we've all been trying to solve that problem of looking snazzy while in a gunfight. The makers of the bulletproof polo and the Kevlar raincoat recently opened a store in northwest Miami to handle all your crime fighting needs. Or maybe you just need a little something to make sure you make it home from a trip to the corner store. Miguel CaballeroUSA's Miami office has what you need. 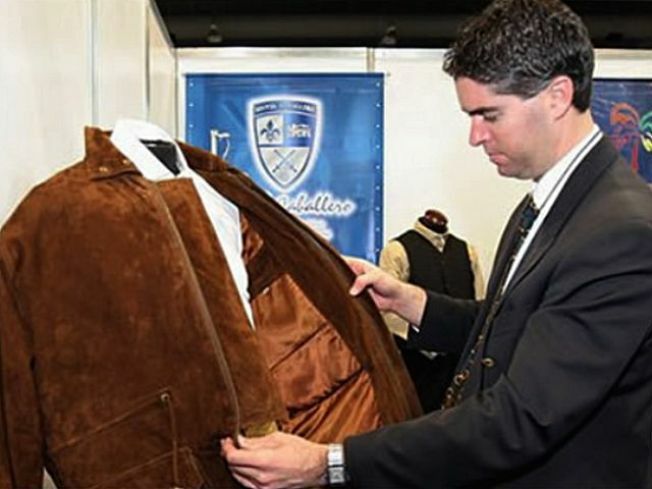 The store also helps market the company's protective wear to Latin America and a growing fan base in the U.S.
Caballero, a native of Colombia, calls his fashion line the “Armani of bulletproof clothing,” which based on fine Italian tailoring. It's all made out of bulletproof Kevlar-based material and is relatively lightweight when compared to the bulky and so not hip traditional bulletproof vests the boys in blue wear. Although 50 Cent did pull off the bulletproof look rather well. Some shoppers are bound to go ballistic over the selection and the prices. Shoppers can buy blazers, leather jackets, vests, T-shirts and sports coat, all able to stop gunfire for those times when the club gets a little too rowdy. A polo will run you about $1,700, but you can’t put a price on safety. The beach can be pretty dangerous. It’s also a pretty neat bar trick to stop a bullet while drinking your martini (shaken not stirred). We hear the ladies love it.